This article explains how the European Union’s Galileo satellite constellation, now in its early launch phase, Russia’s GLONASS equivalent and the U.S. military’s next generation GPS constellation will dramatically improve the speed and delivery of Search and Rescue services around the world, resulting in a safer environment for us all. Galileo is a global navigation satellite system (GNSS) currently being built by the European Union (EU) and European Space Agency (ESA). Whereas GPS was initiated by the U.S. military, Galileo is intended to be solely a civil system. As a new phase of system deployment is entered, the European Community has taken over the leadership of the program from the European Space Agency (ESA). In other words, the program has now moved from a scientific phase to the commercial/operational phase. The GIOVE-A and GIOVE-B experimental satellites for this program were launched in 2005 and 2008, respectively. These two satellites tested crucial Galileo technologies and also secured the Galileo frequencies within the International Telecommunications Union (ITU). The next pair of Galileo satellites are set for an August 21st launch via a Soyuz launch vehicle, to liftoff from French Guiana, courtesy of Arianespace. These Galileo Initial Operational Capability (IOC) satellites will initiate the operational phase of the Galileo project. By end of 2014, two additional IOC satellites will be launched, followed by two further satellites being launch in early 2015. Aboard the Galileo constellation’s MEOSAR nexgen satellite will be a Search and Rescue payload—new SAR radio transponders will be carried as part of the payload. Additionally, a SatNav payload will provide Public Regulated Services (PRS) and Open Services (OS). The Galileo system is critical to the upgrade of the COSPAS-SARSAT international search and rescue program which has saved nearly 37,000 lives since its inception in 1982. 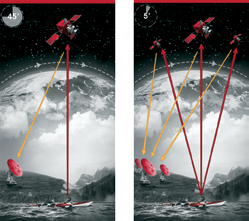 • SAR Payload: Next gen SAR technology on board Galileo satellites will reduce the detection times of COSPAS-SARSAT distress beacons from hours/minutes to seconds, thereby expediting recovery and saving more lives. • Return Link Service : A new feature of the Galileo SAR system is its ability to send messages back to beacon users confirming that their distress signal has been received. • Open Service (OS) : Galileo’s freely accessible service for positioning, navigation and timing. It will be fully interoperable with GPS & Glonass and will be used for many mass market applications, such as in-car navigation and location based mobile services. Various distress beacons are available for the COSPAS-SARSAT system. • Early Public Regulated Service (PRS) : The PRS will be an encrypted service limited to government authorized users. It is designed for greater robustness and increased availability. The signal will be resistant to unintentional interference, malicious jamming, spoofing and false interception/re broadcast (meaconing). 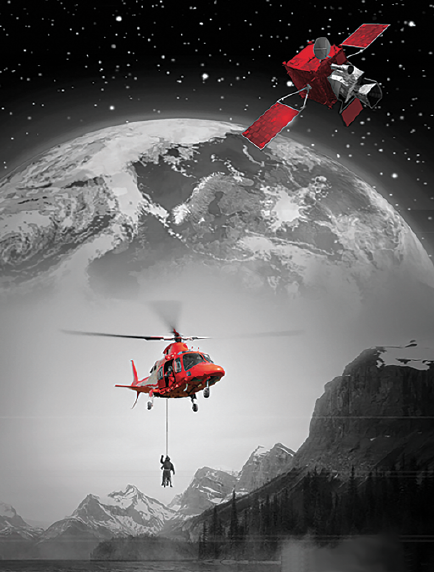 COSPAS-SARSAT is the free, International Search and Rescue system that transmits a position to locate victims rapidly. Wherever an accident takes place, whether on a boat, in a plane or in the mountains, rescue teams are always confronted by the same problem: how can they locate potential victims quickly, and accurately. COSPAS–SARSAT assists in locating distress sites and plays an important role in rescuing lives. During the 1970s, the U.S., Canada, the USSR and France decided to establish a global system to gather information and to identify emergency operational situations. Called COSPAS-SARSAT, this system greatly improved the efficiency of rescue operations and also allowed for permanent (passive or automatic) localization of distress beacons, i.e., without human intervention. Relayed by satellite, analyzed by control centers on the ground, the COSPAS-SARSAT system distress signals allow for the detection and accurate location of the beacon’s position and for the appropriate rescue authorities to be quickly alerted. COSPAS-SARSAT provides, free of charge, distress alert and location information to search and rescue authorities anywhere in the world for maritime, aviation and land users in distress. Where other technologies are out of range, COSPAS-SARSAT can locate people in danger. Thanks to the system, nearly six people are rescued every day. A 406MHz beacon*—certified by the COSPAS-SARSAT organization—does not require any monthly subscription fee. By sending an automatic or manual signal to search and rescue teams via the COSPAS-SARSAT system, distress beacons streamline the rescue chain and increase the victims’ chances of survival. To date, more than 35,000 lives have been saved, thanks to the distress beacons that operate with the COSPAS-SARSAT, satellite aided, Search and Rescue system. 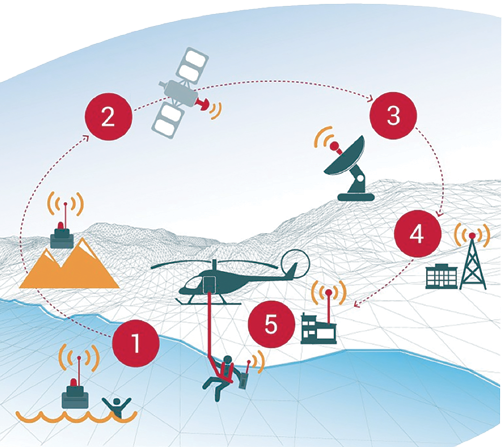 The objective of the COSPAS-SARSAT system is to eliminate the “search” in search and rescue by; reducing the time required to detect a distress; and streamlining the process for SAR services. As of this writing, the COSPAS SARSAT system has six Low Earth Orbit (LEO) Search and Rescue (LEOSAR) Satellites and six Geostationary Earth Orbit Search and Rescue Satellites (GEOSAR). Currently, more than 1.4 million 406MHz distress beacons are registered with COSPAS-SARSAT. These beacons are operated by boat owners, aircraft operators and outdoor enthusiasts. As many as 45 minutes is required for a beacon to be located by COSPAS-SARSAT—with Medium Earth Orbit Search (MEO) and Rescue (MEOSAR) Satellite technology such as Galileo, the detection time will be reduced to seconds. To learn more about the SAR ecosystem, McMurdo Group offers webinars to provide education and awareness to the SAR community. 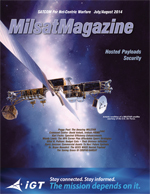 Past webinars on both COSPAS-SARSAT and MEOSAR may be accessed by visiting http://www.mcmurdogroup.com/webinars/. In the domain of Search & Rescue, the MEOSAR system represents a technological revolution that is quite similar to the impact GPS had in the world of radio navigation in 1995. • A constellation of approximately 72 MEOSAR satellites (vs. 6 GEOSAR and 6 LEOSAR satellites with COSPAS-SARSAT today). This will provide worldwide coverage every second of every day. From anywhere in the world, a distress beacon signal can now be captured nearly instantaneously. • When a distress radio beacon transmits its first signal (and then continues to transmit distress signals regularly for 24 to 48 hours minimum), the signal is received by at least three MEOSAR satellites which locate the beacon within a few seconds (compared to up to 45 minutes or more with traditional LEOSAR and GEOSAR satellites). • The signal is relayed to multiple antennas on satellite ground stations or Local User Terminals (LUTs) on Earth where time-difference-of-arrival and frequency-difference-of-arrival positioning techniques can more accurately calculate beacon locations. Essentially, the MEOSAR system works according to the same principle as the GPS tracking system, but in reverse. • The MEOSAR system’s objective is to locate beacons within 100 meters, 95 percent of the time, and within five minutes—even for beacons that are not equipped with a GPS receiver. • The part of the MEOSAR system carried by Galileo satellites will have a Return Link Service, which will allow rescue coordination centers to send acknowledgment and feedback to the beacon user, indicating that help is on the way. All MEOSAR simulations and initial results have demonstrated that this system will bring considerable improvements to COSPAS-SARSAT. Currently under testing and evaluation, the MEOSAR program will start the operational phase in 2015 and will reach full capacity prior to 2020. 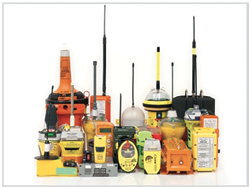 (1) When an emergency occurs, the 406MHz beacon is activated manually or automatically. (2) The beacon’s radio signal is relayed to the ground by a moving satellite within the constellation. (3) One of the ground receiving stations. (4) Will locate the emergency situation and relay this position to the closest control center which will in turn relay the information to the control centre with which the beacon has been pre registered. (5) This control center will receive the alert and forward the information to the rescue coordination centre that is closest to the emergency. Global Satellite coverage will take five minutes with MEOSAR, compared to 45 minutes with the current COSPAS-SARSAT system. With the acquisition of Techno-Sciences, Inc. (TSi), McMurdo Group becomes the world’s first provider of a single vendor, end-to-end COSPAS-SARSAT ecosystem—from distress beacons to satellite ground station infrastructure to mission control and rescue coordination center software. The McMurdo Group brings together 140 years of combined experience by consolidating proven search and rescue brands (McMurdo for maritime and personal distress beacons, Kannad for maritime and aviation beacons, Sarbe for military beacons, and TSi for COSPAS-SARSAT and MEOSAR infrastructure) into their comprehensive portfolio of products that save time, costs and lives. McMurdo Group also provides a number of Maritime Domain Awareness (MDA) solutions for fleet management, coastal surveillance and intrusion detection. As a lead player in the COSPAS-SARSAT satellite aided search and rescue chain), McMurdo Group’s vision to provide a single vendor, end-to-end, COSPAS- SARSAT ecosystem became a reality with the firm’s acquisition of TSI. TSI completes the McMurdo Group SAR portfolio with product innovations, technological advancements and industry expertise from COSPAS-SARSAT’s inception to the most recent advances in MEOSAR, the nexgen COSPAS-SARSAT system. In an industry known for its diverse players (beacon manufacturers, satellite ground station developers, control center operators, rescue equipment providers, rescue teams, regulators and others), McMurdo Group brings leadership, expertise and stability to this fragmented industry. McMurdo Group expects to speed introduction of innovative SAR solutions, drive education and standardization throughout the industry as well as create entirely new solutions that leverage joint partner development efforts. As a key provider of MEOSAR infrastructure, the company is poised to save even more lives and to become the leading voice in the SAR community today and in the future. McMurdo Group is a division of Orolia (NYSE Alternext Paris – FR0010501015– ALORO).